According to a research study sponsored by Massachusetts Mutual Life Insurance Company, more than 60 percent of business owners have no plan in place to protect their companies in the event of a divorce. Harris Interactive recently published the results from more than 500 business owners in FamilyPreneurship: What Every Entrepreneur Should Know Before Starting a Business with a Family Member. The report is timely considering the recent recession. Historically, bad economies have been bad for marriages. With divorce rates hovering around 50 percent, it is logical that more divorce attorneys are seeing family and small businesses as assets to be divided in the marital pot. Despite the divorce statistics, few business owners have considered the impact a divorce could have on their bottom line and even fewer have made preparations to protect their interests. Businesses that are co-owned by divorcing couples face serious risks. Divorce can paralyze the business and cause employees to “choose sides.” Owners may be forced to sell a business with the proceeds divided by the parties depending upon a state’s statutes on property division or a party’s contribution to the business. Even if a business isn’t co-owned by a spouse, a divorce could still lead to division of the business as a marital asset, affecting decision-making and employee productivity. Owners also have to consider the potential threat the distraction of a divorce can have on the profitability of a business. Divorces, especially messy ones, are stressful, emotional and time-consuming. The attention normally paid to management responsibilities may be misdirected. This sobering information was supported by the study which indicated nearly half of the owners who divorced admitted it negatively impacted their businesses. Holiday parties, shopping, gift-wrapping and travel arrangements consume precious hours this time of the year, making it common for many to continue to put estate planning on the back burner. However, one of the most precious gifts one can give to children and loved ones is a properly executed or updated will. Many do not understand the ramifications of dying “intestate,” or without a will, which often has profoundly unintended consequences. If you die without a will, decisions regarding your property or your children may be made by the state. There is added stress on surviving family who must deal with the legal and personal matters without knowing your wishes. It is a topic with which many are uncomfortable, and most assume that end of life planning doesn’t need to be discussed until “later” or “when we’re older.” But the harsh reality is that people with young families may face tragedy, something we hear more frequently during holiday travel time when weather and traffic increase accidents and fatalities. For many families living far apart, holiday gatherings may be one of the few opportunities to discuss your wishes in person. Although it can be a difficult subject to bring up, there are different ways to initiate the conversation, including utilizing an example of a relative, co-worker or news story. Once you’ve shared your wishes, it is important to take the next step to protect your family. Make it your new year’s resolution to prepare proper legal documents. There are common misconceptions that only wealthy people “need” estate planning, or that it is an expensive and time-consuming process. While there are more detailed options for families with larger assets, a simple Will is sufficient for the average person to identify a personal representative and provide instructions on distribution of their property. Parents with minor children can add trust provisions to their Wills naming guardians for their children. Wills are often accompanied by a durable power of attorney, a document naming a representative to act on your behalf for financial matters in the event of your incapacity or death. It is also important to prepare Advanced Directives, commonly known as a “living will.” This enables you to specify your wishes regarding life-sustaining procedures and to name a health care representative to make those decisions in the event you are unable to do so. At JHDJ Law, our attorneys can help you determine what documents are needed to protect your family. The process is efficient and cost-effective, typically involving an inexpensive flat fee for the preparation of simple estate packages. By formalizing your wishes legally, you exercise control over decisions regarding your property and your children and you reduce stress and prevent confusion for your surviving family. The 7th Circuit Court of Appeals upheld the US District’s Court’s ruling in a case alleging reverse gender discrimination. In David Farr v. St. Francis Hospital and Health Centers , No. 08-3203, District Court Judge Sarah Barker decided that the there was no merit to the Plaintiff’s claim that St. Francis hospital had discriminated against him by terminating him for improper use of work computers. Farr was a respiratory therapist in the hospital’s Pulmonary Rehabilitation Department. He was the only male employee in the department staff of seven. They all shared the same computer but had different user names and passwords. Farr was fired following an investigation into the discovery of “lurid” and “obscene” sites which had been accessed on the department’s computer. The investigation by the department showed that Farr’s user name had accessed the inappropriate sites and found that no other employees’ names were associated with the violation. The investigation also showed that Farr was the only employing working a specific Saturday when a significant portion of computer activity involved pornographic sites. Farr was suspended for five days, and ultimately fired for breaching various hospital policies. Farr filed a grievance, and admitted that he’d accessed at least half of the sites identified on the report issued by the hospital’s IT department. However, he hired his own expert who contended that the other sites where placed on the computer by malware without his knowledge. The grievance committee upheld the termination, and in 2007, Farr filed suit alleging he was a victim of gender discrimination. Farr claimed the hospital assumed he was the only one looking at the inappropriate sites because he was the only male in the department. Judge Barker granted summary judgment in favor of the hospital in an August 1, 2008 decision, which Farr appealed. On May 8, attorney Jill Dimick attended an outing at the Indianapolis Motor Speedway in support of the Indianapolis Bar Foundation (“IBF”). Attendees were hosted by Indy 500 Historian Donald Davidson and provided with a tour of the IMS Museum. Lunch folllowed in Mari Hulman George’s suite, with guests wrapping up the day with a tour of the garage area. The IBF is a 501(c)3 charitable entity which funds a variety of programs furthering its mission to advance justice and promote positive change in the Indianapolis community through philanthropy, education and service. Jill Dimick is a founding member of JOCHAM HARDEN DIMICK JACKSON, PC, and chairs the Business Litigation Group. With 20 years in litigation, Ms. Dimick brings a wealth of experience representing an array of clients ranging in size from large public companies to small privately-owned businesses, professional corporations, franchisees, and financial institutions. Equally comfortable representing either plaintiffs or defendants, Ms. Dimick’s clients also comprise public officials, business owners, directors, officers and former employees. 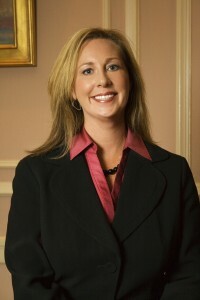 Her cases involve a variety of issues such as breach of contract, shareholder disputes, breach of fiduciary duties, receiverships, landlord-tenant issues, zoning, trademark infringement, defamation, unfair competition, covenants not to compete, wage claims and employment discrimination. Ms. Dimick has been a speaker at conferences and continuing legal education seminars, including most recently at the Indiana State Bar Association’s 2009 Women’s Bench Bar Retreat. Her community involvement includes service as a volunteer for WFYI (Speaking of Women’s Health and the Indy Wine Fest), the Humane Society, Special Olympics, the American Heart Association and various federal, state and local political campaigns. She is a member of the Georgetown University Law Center 20th Reunion Committee and a volunteer for the Hamilton Southeastern Foundation. Her professional memberships also include the Indiana State Bar and Indianapolis Bar Associations.